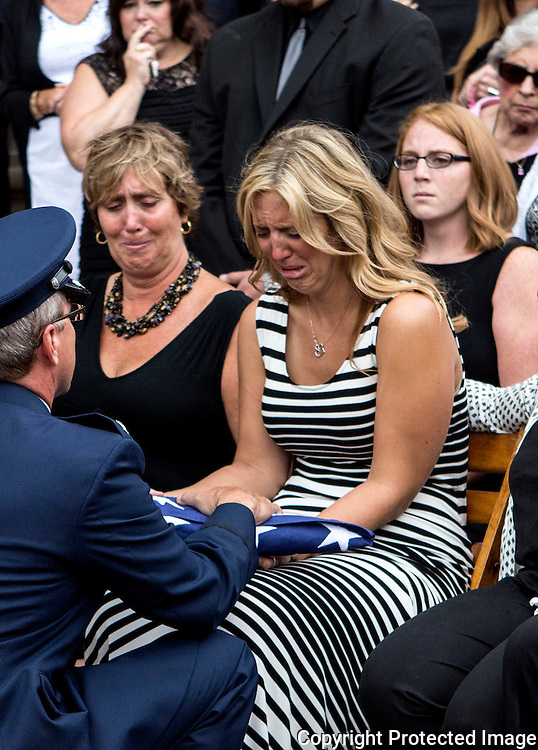 Alyssa Richeson, surrounded by family and friends, is presented a flag at the funeral of her husband. Captain Nathan Richeson received full military honors at Swasey Chapel Tuesday afternoon. Richeson, who grew up in Granville, served as a pilot in the Air National Guard. He was tragically killed changing a tire on the side of the road by a distracted driver. The couple were celebrating their two-year wedding anniversary.